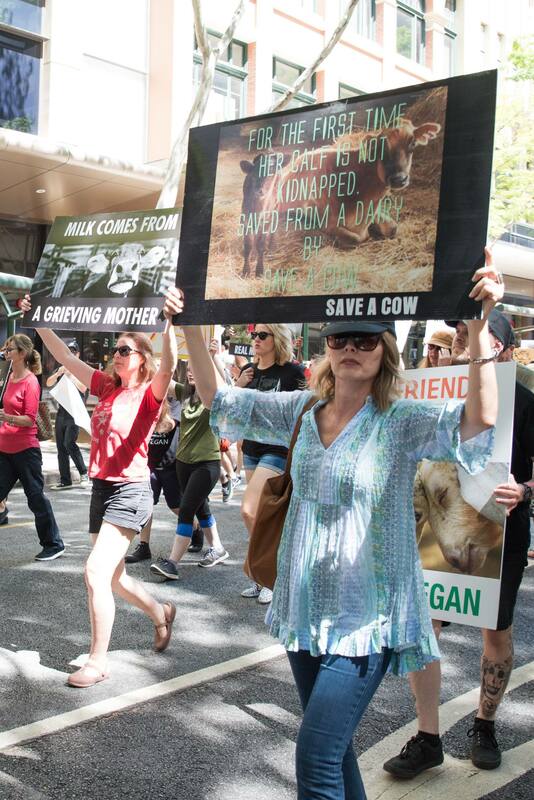 This is the 4th annual holding of the Brisbane MTCAS Event established in 2016 by the Save A Cow Foundation and first established by and first held in Paris in 2012 by www.stopabbatoirs.org . This Brisbane MTCAS Event event is aimed at helping close all slaughterhouses globally to stop the unnecessary immense suffering of 'farmed animals', and stop the ongoing Animal Holocaust of our fellow earthlings in slaughterhouses at the hands of humans. The Brisbane MTCAS Event is in alliance and solidarity with the international community who are holding the March To Close All Slaughterhouses all around the world on the 8th June 2019. WE MEET AT THE GRAND RAMP AT KING GEORGE SQUARE, JUST NEAR BRISBANE CITY HALL, ADELAIDE STREET, BRISBANE CITY FROM 10.30am for AN 11.00 am START OF THE PUBLIC SPEAKING PART (HAVE YOUR OWN SAY) UNTIL 12.30pm WHICH IS THE SACRED CIRCLE OF ANIMAL RESPECT (SCAR) AND REVVING UP AND THEN MARCH THROUGH THE STREETS FROM 1.00pm UNTIL 2.00pm AND THEN WE FINISH THE EVENT WITH ANOTHER SCAR FOCUSED ON HOW WE ARE GOING TO HELP STOP THE ANIMAL HOLOCAUST AND CLOSE ALL SLAUGHTERHOUSES AFTER THE EVENT AT KING GEORGE SQUARE. The march is organized by Save A Cow Foundation.